In addition and owing to the set of technologies, know-how, skills that characterize IDMIT and its different partners, two major axes of basic research are undertaken within our national infrastructure. 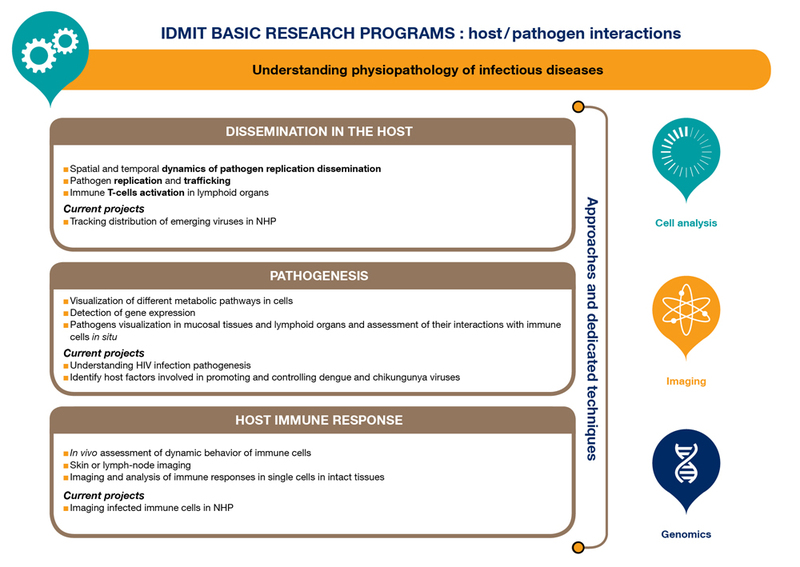 The first one, concerns the study of the molecular, cellular and tissular relationships that characterize the “host/pathogen intercations”. Such a knowledge will help in understanding the entrance ways, multiplication processes, sites, reservoirs and also the pharmacokinetics and pharmacodynamics parameters of dissemination within the body. 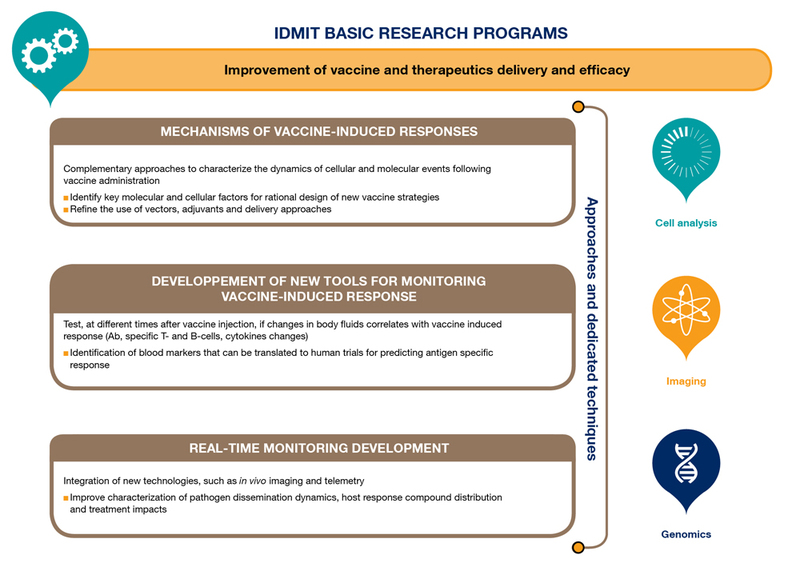 Together, these results, will constitute a set of usefull data to allow the development of de novo more adpated and better-defined vaccine and/or innovative therapies against infectious diseases, or to improve pre-existing prophylactic or therapeutic solutions (second axe of IDMIT research).